Being at the helm of a small business can be overwhelming. Whether you’re already your own boss or are thinking of making the leap, these tips from small business owners can help you get organized and boost productivity. “If you’re thinking of starting a business, the simple act of making business cards will make you feel so much more official,” says Laura Essl, owner of “Blue Eye Brown Eye,” a calligraphy and design service. If you are newly taking a crack at operating a business, you may quickly notice the little things you took for granted as an employee. No longer relying on someone else to provide basics like pens, paper and file folders, it’s important to supply your office cost-efficiently. Buying supplies haphazardly while you happen to be grocery shopping, for example, as interior designer Anissa Zajac, owner of House Seven was doing at first, is neither a good strategy for staying organized or on-budget. 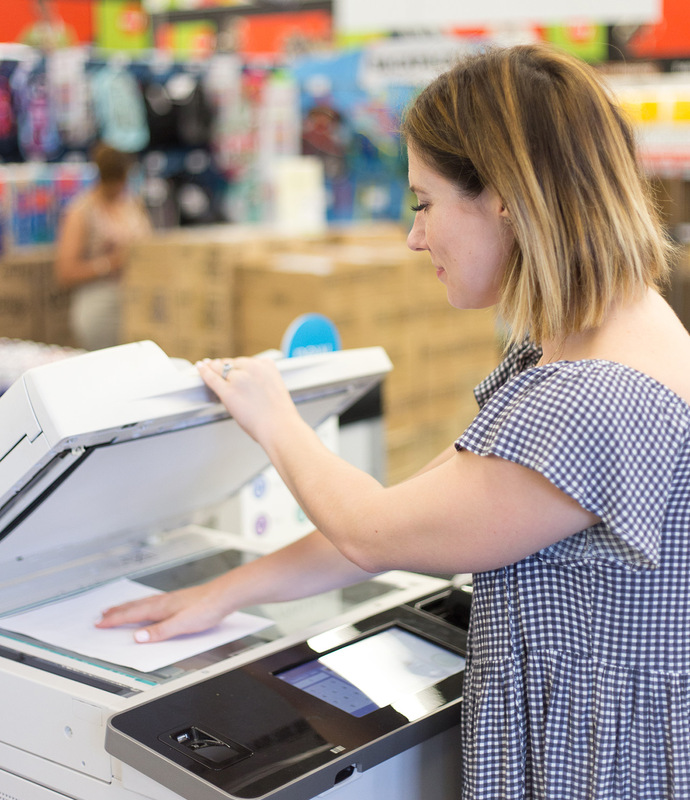 “I spend most of my time visiting clients and so I don’t need a lot of supplies, but I’ve discovered that making a special trip to an office supplies retailer is well worth it for the money I will save in the long run,” says Zajac. When working from home, it can be tempting to let things lapse into chaos. But if you video conference, meet with clients or just want to get serious, it’s important to differentiate your home office from your home, at least mentally. When upgrading your office, Peterson suggests stretching dollars by taking advantage of resources like the Staples Rewards program, which offers rewards on purchases, cash back on recycled ink cartridges and special coupons and deals. She also points out that you can enjoy further cost-savings when opting for the generic store brand, which, in most cases, is as high quality as name brand alternatives. More cost and time efficient ideas for small businesses can be found by visiting Staples.com and by following #MakeMoreHappen on social media. When money and time is tight, as it often is when running a small business, turn to smart strategies to take your business further with fewer resources.